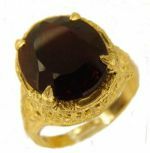 Fits 14x12mm oval shaped stone (stone not included in price but available as an optional purchase). Cast per order using molds from the original hand carved dies and available in 14k, 18k & platinum. 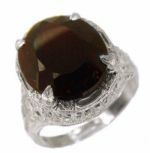 Fits a 14x12mm oval shaped stone (stone not included in price but available as an optional purchase). Cast per order using molds from the original hand carved dies.